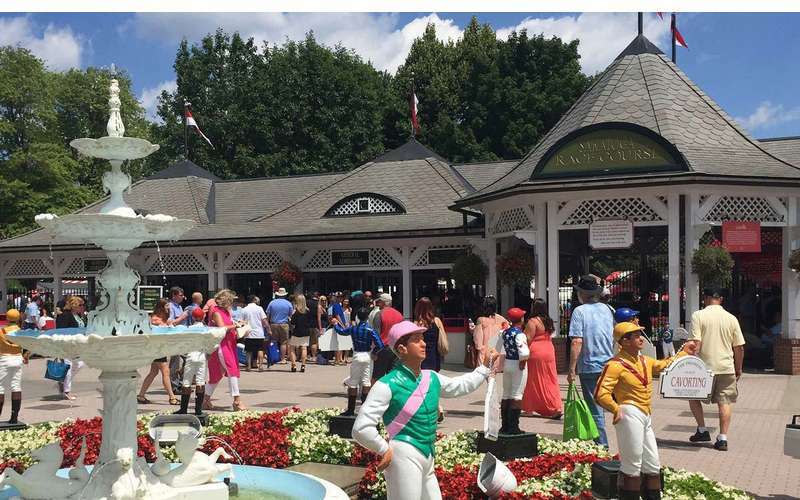 The Race Course in Saratoga sees big names both in the grandstands and coming out of the starting gate. Don't be intimidated - you can be a part of all the excitement in a place where beginner's luck is just as important as seasoned advice. 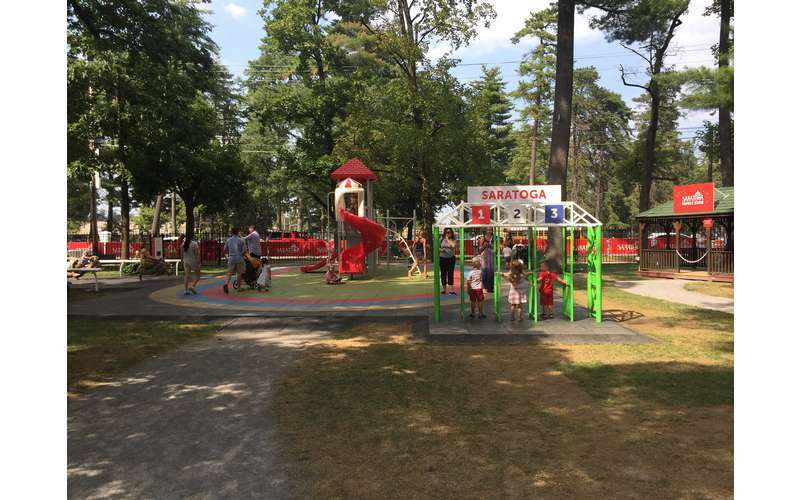 The 2019 Saratoga meet begins Thursday, July 11 and concludes Monday, September 2. Please note that during the 2019 meet, the track will be dark on both Mondays and Tuesdays. Hours & admission haven't been announced yet for the 2019 meet. The below information is from 2018. Hours: Gates open weekdays at 11 a.m. and weekends at 10:30 a.m. Post-time is 1:00 p.m. Friday through Monday and 12:25 p.m. on Wednesdays and Thursdays. 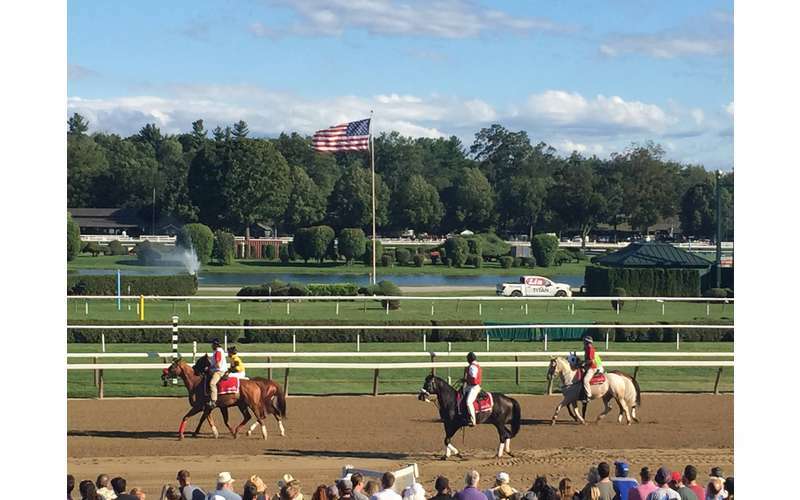 On Travers Day, gates open at 7:00 am and the first post is 11:35 a.m. On Labor Day, the first post-time is at 12:30 p.m. Admission tickets are sold at the gate upon entry into the track or in advance through Ticketmaster. 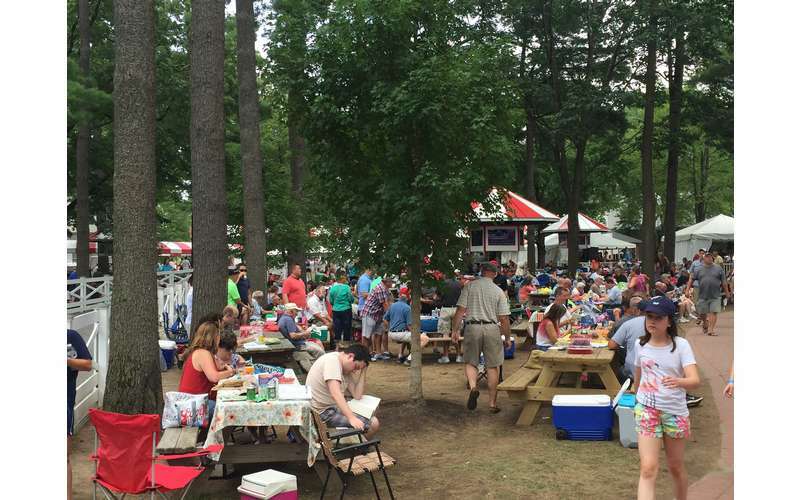 There is a tradition in Saratoga, however, to throw a tablecloth over a picnic table to "claim" it. People are usually respectful of this rule. Even so, these go fast, so make sure you get to the track very early in order to claim a table. 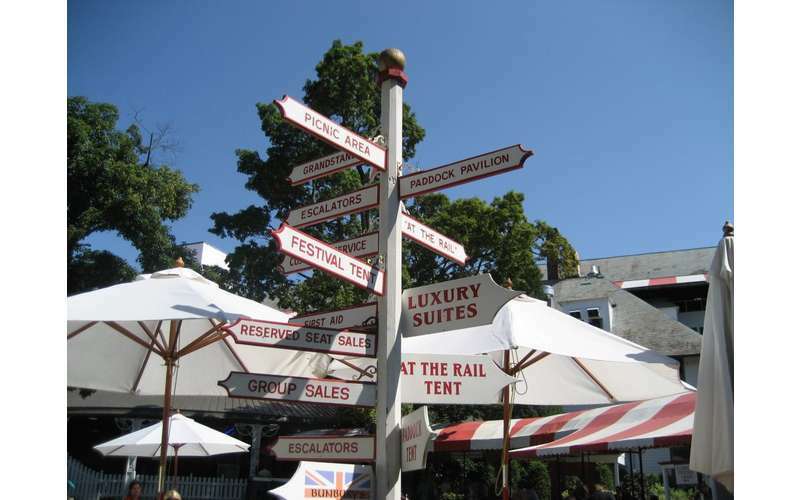 For information during the Saratoga meet, please call (518) 584-6200. Breakast at Saratoga: If you want to hang out at the track earlier, this is a really unique opportunity to watch the horses' morning workouts, while enjoying a delicious breakfast trackside. You can bring in your own breakfast and sit on the green metal benches in the apron (the space between the Clubhouse and the rail), or take in the fabulous breakfast buffet on the Clubhouse Porch. The buffet breakfast is served from 7AM until just before 9:30AM. (At 9:30, breakfasters must leave the grounds until the gates open a little later in the morning).